Anyone with a persimmon tree will tell you that there is such a thing as too many persimmons, especially Hachiya persimmons, the kind that get squishy as they ripen. Leaving them to the birds and raccoons is an option, unless the trees are near your house or walkway, in which case Mother Nature can create a slippery yet sticky mess. And so it was that my friend Bill gifted me with a large box of persimmons in December, once again. I froze many of these, but had an inspired idea for them last week when the persimmony taste in a persimmon pancake recipe was too subtle. 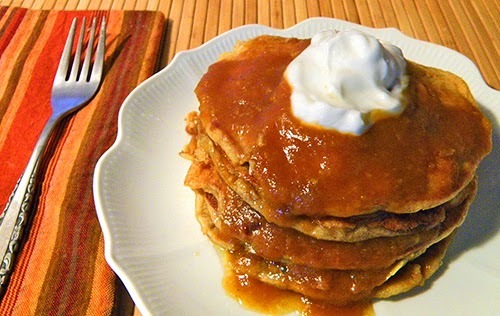 Thus was born a sweet, delicate, spiced sauce to be served with the pancakes that takes 5 minutes or less to prepare. I originally used 1 teaspoon of grated ginger, and it was quite strong. I liked it, but have halved the quantity for more normal family members. 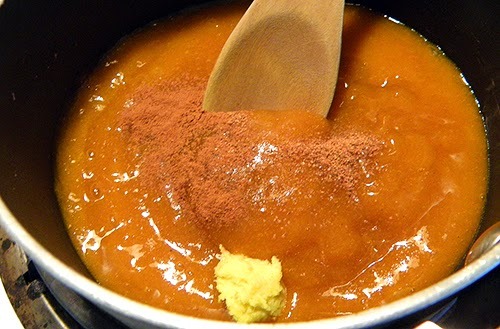 ½ teaspoon will make a somewhat spicy sauce in which the persimmon flavor is prominent. 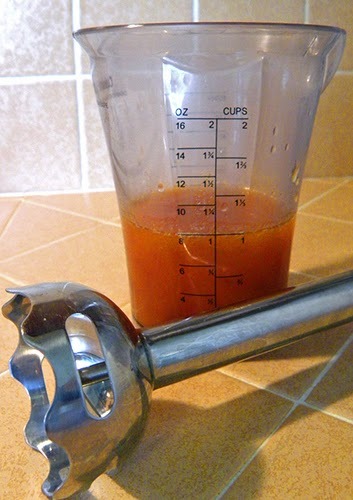 Reduce to ¼ teaspoon for a more lightly spiced sauce, or if you prefer the sweeter spices to ginger. Change up the spicing if you like (a little allspice might be interesting), or add more maple syrup, and maybe a pat of butter if you like. 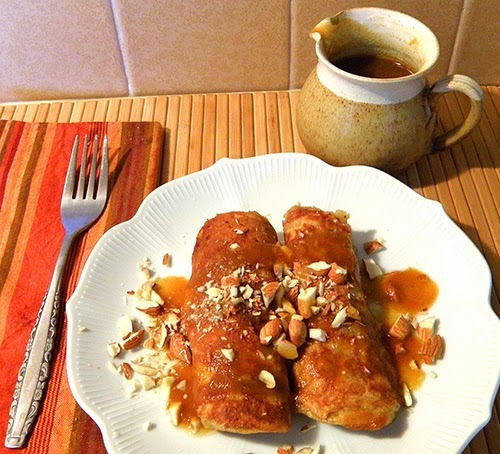 Roll up the pancakes around the sauce, or spread the sauce between layers of pancakes, or spread across French toast. Leftover sauce spices up a mid-afternoon yogurt snack, or try a dollop or two in Earl Grey tea for an unusual kick. 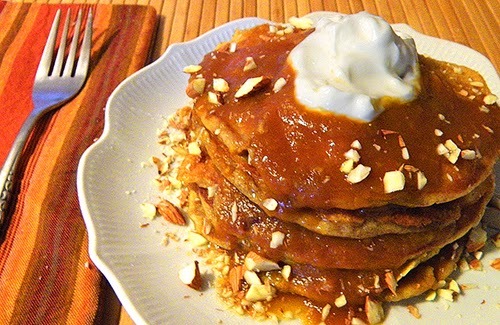 Please post a comment if you come up with other ideas for using persimmon ginger sauce. Puree persimmon pulp with immersion blender until smooth. Pour into small saucepan. Stir in grated ginger to taste, and cinnamon and nutmeg. Bring to boil over medium heat. Boil gently for 2 minutes, until persimmons cook down slightly and no longer look raw. Remove from heat and stir in lemon juice and maple syrup. Serve immediately with pancakes, or store and reheat before serving.